Scheduled from May 23-25, 2014, the Chocolate Festival attracts hundreds of visitors from around Belize as well as overseas to Punta Gorda, Toledo District. 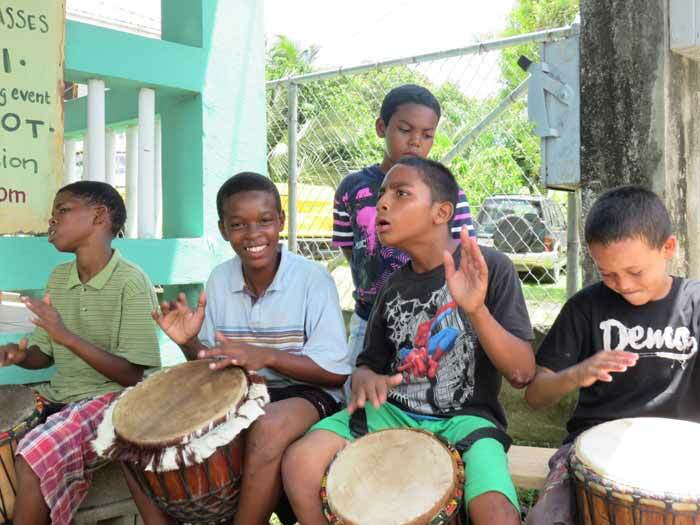 This lively festival has helped Toledo shed its worn out image as “the forgotten district” and establish it as one of Belize’s vibrant and growing tourism destinations. It also commemorates the tremendous contribution to development in the south made by the Toledo Cacao Growers’ Association (TCGA) and its hundreds of farmer members. The three day event is the ultimate getaway for the chocolate lover and foodie who savor decadent (local) chocolate and cacao inspired deserts and dishes of Belize. Share in the homage of Belize’s Ancient Maya culture, while immersing in this traditional and festive chocolate extravaganza. Date: Friday, May 23rd, 2014. Venue: Garbutts Marine in Punta Gorda Town. Highlights: delectable chocolate creations by top chocolatiers in Belize; live musical entertainment; socializing with the chocolatiers and more. Date: Saturday, May 24th, 2014. Time: 10:00 a.m. to 6:30 p.m.
Venue: Front Street, Punta Gorda Town. Highlights: numerous booth displays (cacao and chocolate food and drinks on sale); arts and craft; musical performances and more. Date: Sunday, May 25th, 2014. Venue: Lubaantun Maya site, northwest of Punta Gorda Town. Highlights: Maya descendants’ reenactments; food and drinks; fun cacao competitions. 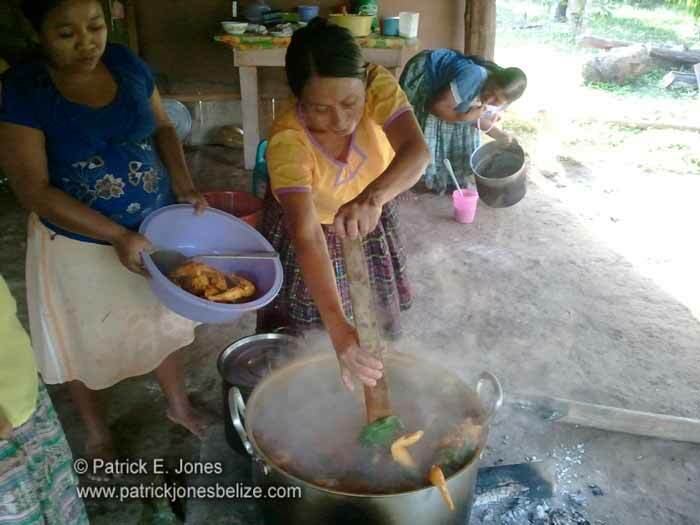 Get acquainted with the once “Heartland of the Maya”, Belize. Did you know that cacao (the raw form of chocolate) was considered gold for this ancient Maya community? The ancient Maya also used cacao (primarily) for trading purposes (currency). Learn more about the traditional techniques that contributes to the rich and distinctive taste of Belizean chocolate products; a palate that is recognizable throughout the world! Join in the festive occasion and discover how to be a professional or amateur chocolatier, while indulging in one of many signature events held annually in Belize. Toledo is gearing up once again to celebrate the eighth Chocolate Festival of Belize that will take place on the Commonwealth Day weekend from Friday 23‐Sunday 25 May. The overall format remains similar but each day will be enhanced with new attractions and activities. The festival opens with its gala evening of Wine and Chocolate, sponsored once again by Bowen and Bowen who will be offering their signature chocolate stout. This year the event moves back into Punta Gorda town and will be held at Garbutt’s Marine and Fishing Lodge on the waterside by Joe Taylor Creek. On Saturday all the action takes place in Punta Gorda town on Front Street where local ethnic groups will display their cultural food and music and Belizean chocolatiers will have samples of their wares available for purchase. The festival moves into the heart of Toledo on Sunday to Lubaantun Mayan site. This year the dancers of the Baktun 13 group from Maya Centre will return to perform and there will be performances by Jose Chun and family from San Marcos village who form a string ensemble playing the Mayan harp, violin and guitar. The marimba will be performed by another group from Blue Creek village. Punta Gorda town is buzzing with activity this weekend as the annual Chocolate Festival takes center stage. This annual event is coordinated by the Toledo Chapter of the Belize Tourism Industry Association (BTIA) and the Toledo Cacao Growers Association (TCGA). It is aimed primarily at celebrating Belize's hardworking Cacao farmers. — at Punta Gorda Belize. After one day and two nights in beautiful Placenca, yesterday morning I hopped on the 9am express bus for the 1.5 hour hop to Punta Gorda. (I don’t why more people don’t do a Placencia/Punta Gorda combination trip…fantastic way to experience Belize is you have just limited time. Beach + fantastic restaurants of Placencia and the wildife + wild beauty + culture + diversity of Punta Gorda? But that’s another blog.) I then went way up in the hills to the tiny village of Columbia, Toledo to visit the largest commercial butterfly farm in the world. YOU HAVE NEVER SEEN SO MANY BUTTERFLIES. Thousands and thousands are shipping out each week…in pupae form. But…I’ll have to tell you more about that too. Here’s a picture of the view… And then chocolate, chocolate, chocolate. The Belize Chocolate Company, Cotton Hill chocolate…there were four different tables with ENDLESS samples. My photos are not so hot. It was dark! And so is chocolate! Cacao is native to the Americas, and the Toledo District of southern Belize is recognized for its superior cacao. These cacao beans are a significant export crop and, within country, are transformed into distinctive and high quality chocolate grown by farmer members of the Toledo Cacao. Here are some photos courtesy of the Belize Tourism Board of this year’s Cacao Festival. The annual Cacao Festival was held this weekend in Punta Gorda town. 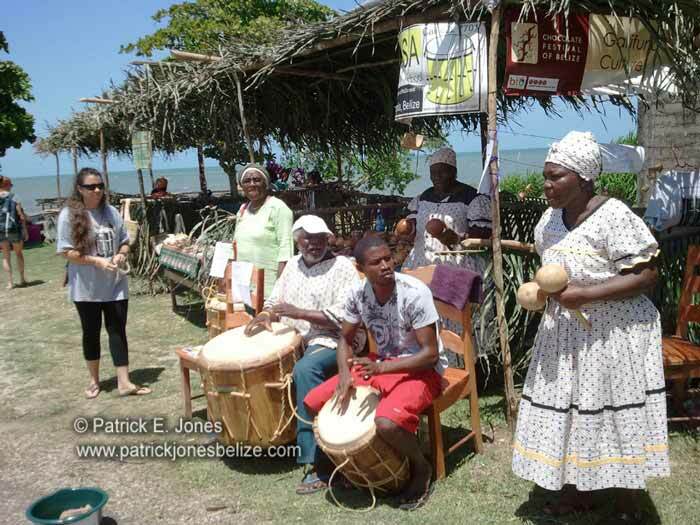 Thousands of Belizeans and visitors attended this year’s event which, as in previous years, was split between PG itself and the Lubaantun Archaeological Site near San Pedro Columbia village. Organized by the Toledo Cacao Growers Association (TCGA) in conjunction with the Toledo chapter of the Belize Tourism Industry Association (BTIA), the annual Chocolate Festival, now in its seventh year running, is a celebration of the cacao farmers whose hard work and dedication is a major contributor to the local economy in the Toledo district. According to the project coordinator for the Toledo Cacao Growers Association Thomas Tillett, the Association currently has a membership of about 1,100 cacao farmers. And while that may seem like a small amount, when you factor in that each farmer has the input of up to five other family members, then you realize the larger impact that the cacao industry has. Officials estimate that Belize is currently producing about 200,000 pounds of dry cacao beans for the export and local markets. 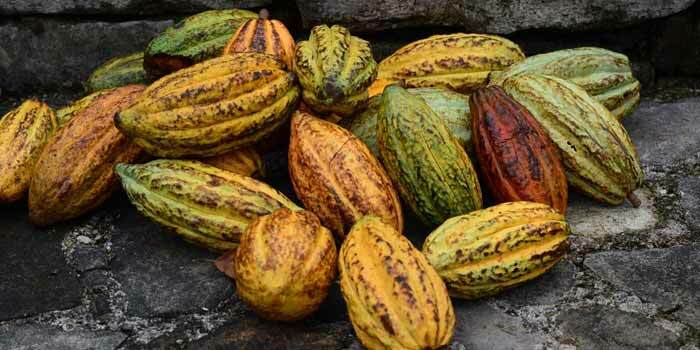 With buyers in the United Kingdom, Germany, Switzerland and the United States of American, the sale of cacao beans earns a good deal of foreign exchange for Belize. According to Thomas Tillett, cacao beans fetch US$3,200 per metric tonne; but the Toledo Cacao Growers Association is able to get US$4,000 per metric tonne. And with the demand for cacao beans being high, Tillett is encouraging more Belizeans to get involved in the cacao industry. Tillet says that there is potential world market for over a million pounds of cacao beans and with Belize only producing 200,000 pounds annually, the future looks promising and bright for anyone who is willing to get into cacao farming. Since the establishment of the Cacao Festival 7 years ago, the event has grown steadily, bringing increasing numbers of visitors to Toledo to see, hear and taste the fruits of farmers’ hard labour in the cacao industry. Day two of the Cacao Festival shifts to the Lubaantun Archaeological site where the festivities include cultural Maya performances. 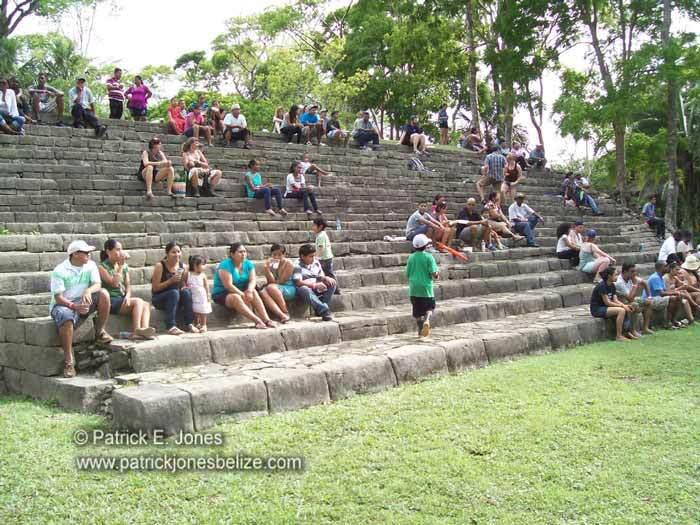 Hundreds of people yearly make the trip to the Lubaantun site for the culmination of the Cacao Festival. Maya Centre Dancers getting ready to take the plaza stage. The annual Chocolate Festival culminated on Sunday, May 25 at the Lubaantun Archaeological site near San Pedro Columbia village. It was a beautiful end to the celebration of the cacao farmers of Toledo. We headed into town for the start of the street festival and kicked the day off with some chocolate seaweed from a guy on a bicycle cart. A spiced (almost like eggnog with cinnamon and nutmug) drink thickened and healthified with local seaweed. This one was flavored with cocoa powder for the occasion. You want to drink these iced cold and quickly. Delicious. Booths representing many local cultures from East Indian (I had a good amount of curry) to Mestizo, Garifuna to Maya. It’s one of the most amazing things about this part of the country. Beautiful Punta Gorda. I just loved this street fair…simple and beautiful. Not just chocolate but culture and music. All about the diversity of the local people. Great story with lots of photos by SanPedroScoop! 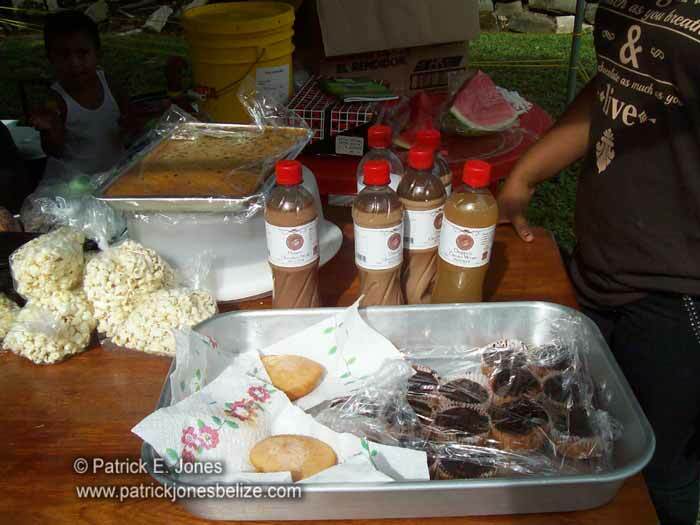 Annually, during the Commonwealth holiday weekend, the Toledo District hosts the Chocolate Festival of Belize and this year it happened on May 23rd – 25th, 2014. On Friday there was the Wine and Chocolate celebration, Saturday was the Taste of Toledo street fair on front street in Punta Gorda and on Sunday, the closing ceremonies took place at the beautiful Lubaantun Maya ruins. I’m very proud of this festival, it showcases something that the country produces very well and most importantly, it promotes tourism to the less visited Southern Belize. Today I ran into a beautiful selection of photos by the Belize Tourism Board and thought it would be nice if I shared my top 10 favourite photographs that capture how fun the event was.